But pharmaceutical companies have little financial incentive to research it. Angel investor Ariel Poler thinks he’s discovered a way to live a longer, healthier life — and it’s only costing him $2 a month. Millions of people with diabetes take the drug metformin to help lower their blood sugar levels. But in recent years, Poler and a growing number of Silicon Valley residents have begun taking the cheap generic medication in the hopes it will extend their lives. Important to note: the medical community isn’t convinced of the drug’s anti-aging benefits — and there’s a chance no one will conduct the human research needed to help them make up their minds, leaving metformin relegated to the realm of long-shot life-extension treatments. Metformin has been in use as a diabetes treatment for decades, but in recent years, a number of researchers have started to explore whether the drug has additional health benefits. A 2014 study concluded that diabetes patients taking the drug lived longer than a matched control group, leading the researchers to infer that metformin might benefit people without diabetes. A different study published the year prior determined that the drug could improve both the healthspan and lifespan of mice. These and other studies led Poler and his Silicon Valley peers to seek prescriptions for metformin, which costs only about $0.05 per pill. “Even though I’m not pre-diabetic, it was low-risk so I tried it and I could rapidly feel that improved my metabolism as well,” angel investor Zen Chu told CNBC. 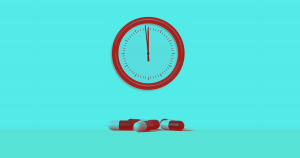 Unfortunately, it’s hard to say whether metformin’s purported benefits are genuine or perhaps the result of the placebo effect — there simply hasn’t been enough research into the drug’s use as a life-extension treatment in humans. The drug also carries the potential for side effects, ranging from diarrhea and slow blood sugar to abdominal pain and lactic acidosis, so it might actually do more to harm a person’s health than improve it. This led physician Greg Burrell to tell CNBC he would advise his non-diabetic patients to wait for the results of more human trials before seeking metformin prescriptions. But according to CNBC’s sources, pharmaceutical companies have little financial incentive to research alternative uses for a cheap, generic drug — meaning those patients might have a long wait ahead of them.